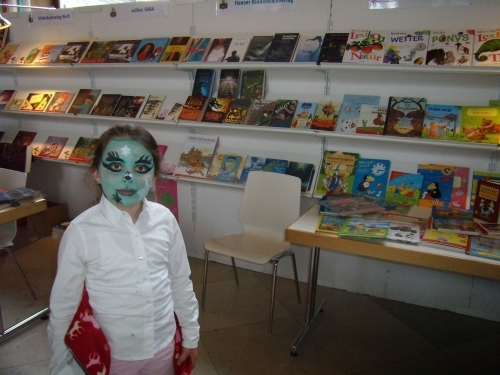 Pictures from the the Europäische Kinder- und Jugendbuchmesse, a book festival Frances attended in Germany in May 2007. 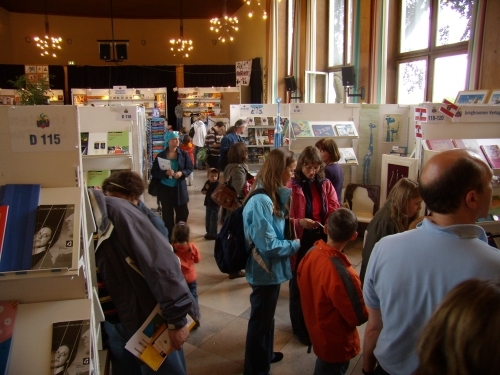 The festival – The Europäische Kinder- und Jugendbuchmesse, looking book festivalish. 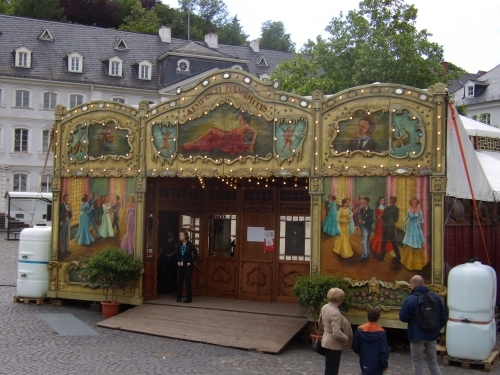 Outside the festival – Saarbrücken, outside the festival. 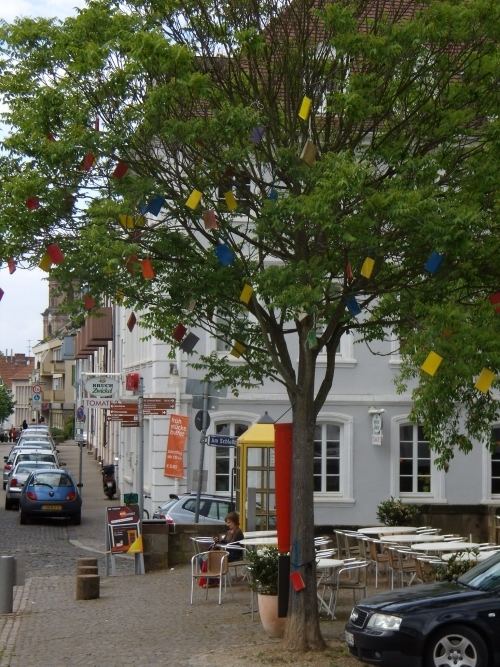 Books hanging from trees, apparently as decorations, and not for crimes against grammar. 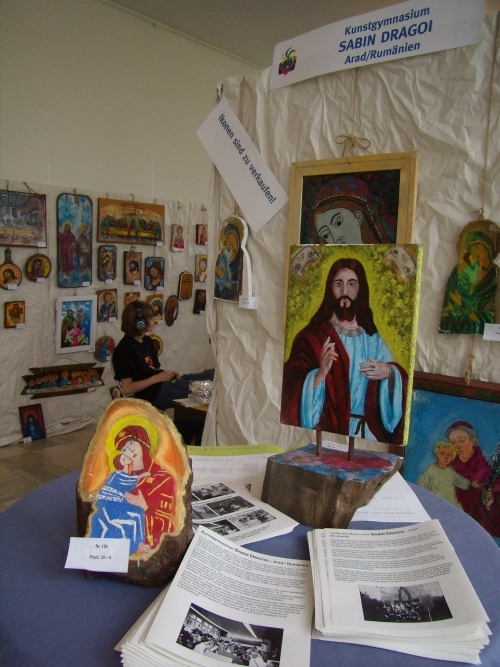 Religious section – Part of the book festival display – religious icon section, some created by children. 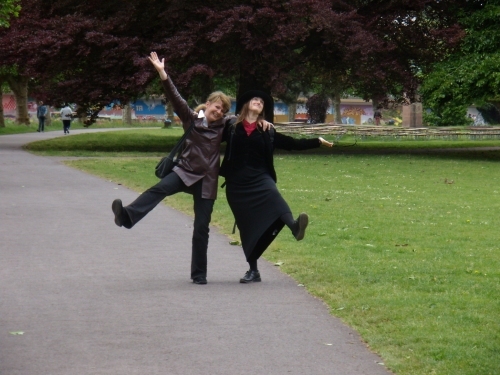 Green child – Frances doesn't know who the small green child is, but it's quite a nice picture. 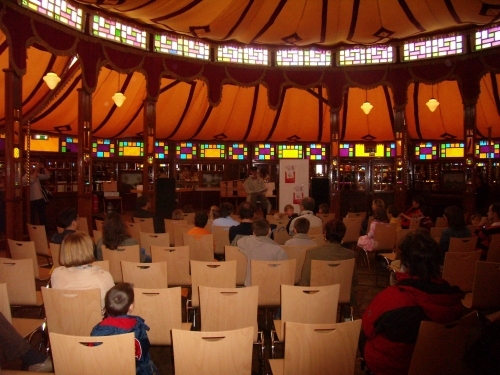 The festival's outside – This is the beautifully carnivalesque structure in which many of the readings/lectures were given. 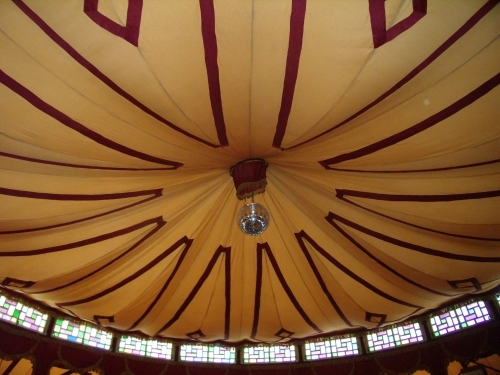 Still inside – … and a bit like being inside a circus tent. 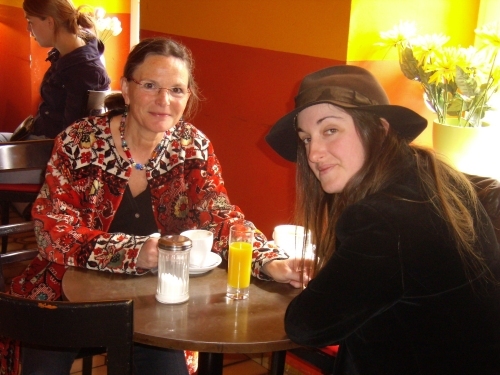 German publisher – Frances with the German publisher of Fly by Night. 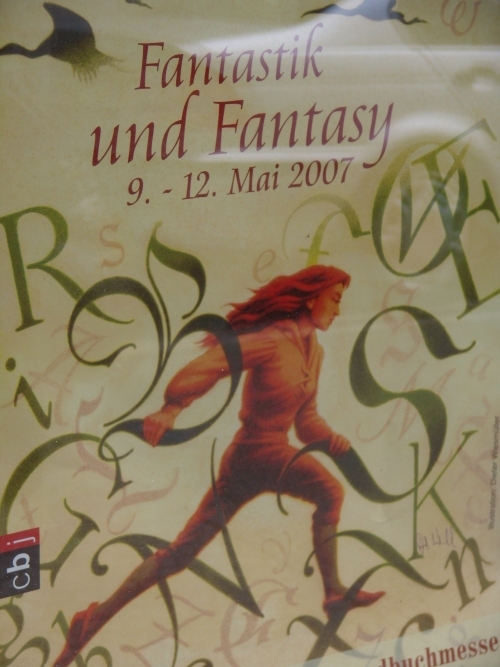 German publisher and spooky outline – With the same German publisher, but this time Frances has changed into a spooky black outline. Frances with Daniela Kulot – Frances on the canalside with Daniela Kulot, a very gifted German writer/illustrator of children's books. 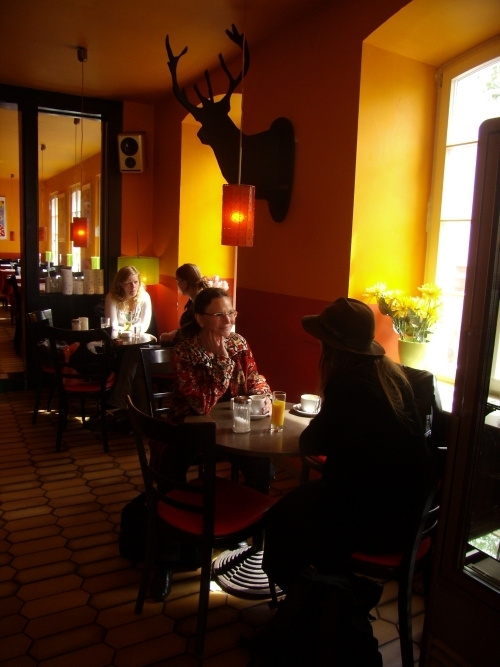 Fly by Night in French – The woman in the centre of this photo found herself performing a reading of Fly by Night in French. Presumably that's why she's trying to hide under the desk. 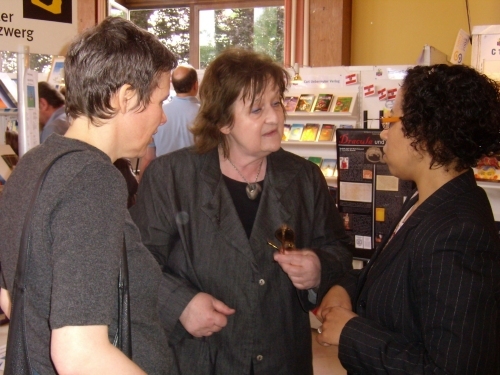 Yvonne Rech – The central figure is Yvonne Rech, who organized the festival. 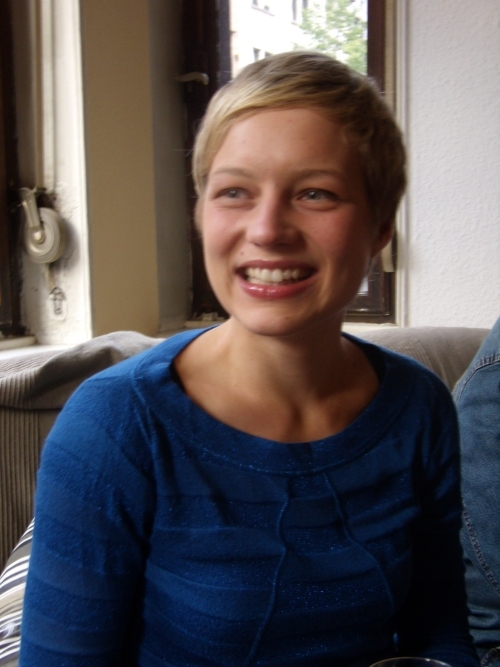 Ninja Steinbach – Ninja Steinbach, who looked after Frances in Saarbrücken and took all these photos.